Slats are rotated by twisting the tilt wand or pulling the tilt cords. 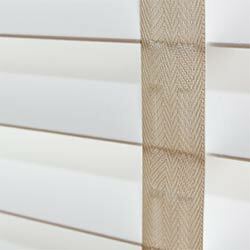 Paint your windows beautiful with these contemporary designer-look faux wood window coverings. 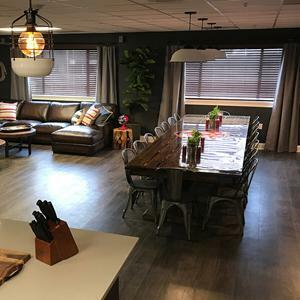 Our Designer Contemporary 2" Faux Woods come in timeless shades of grays and neutrals for a clean, streamlined finish. 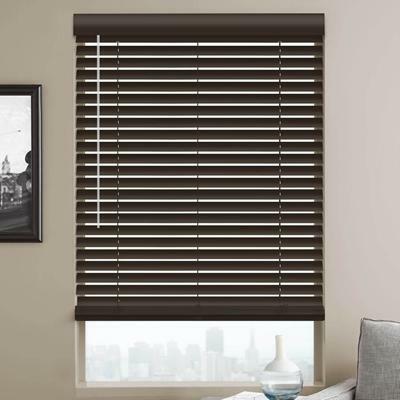 Complement your custom color choice with the addition of cloth tape accents, a modern contour magnetic valance – included! – and a clear diamond wand to open and close slats. 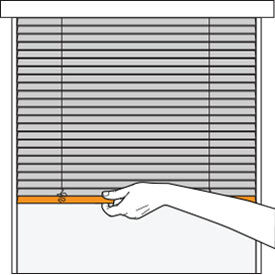 Easy to install, these high-impact horizontal window coverings are made of durable, moisture- and fade-resistant PVC for years of use. They are available with a standard corded lift or optional Cordless Lift & Lock™ (keeps children and pets safe from dangling cords). Regardless of the easy lift system you choose, with our free shipping and the best warranties in the industry, you can be certain you’re getting a great product at a great price! 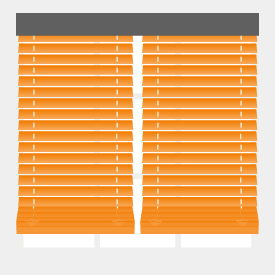 Inside mount valances will have 1/8" deduction. 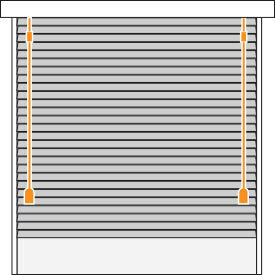 Due to weight, multiple blinds on one headrail is recommended for widths over 84". We went to the website after hearing an ad on the radio. 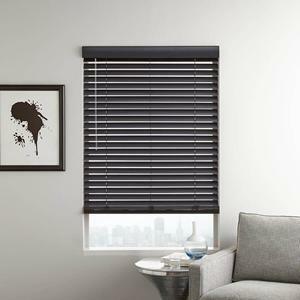 We purchased the blinds for a community room of an apartment community. They look great, are good quality, and were easy to install. Happy with the blind construction and installation. The magnetic valance is awful. Can not keep it in place and it constantly slides. The product that is strictly for aesthetics looks horrible. Great product , highly recommend! Was pleased with the quality and ease of installation! So pleased I ordered more!